Our own Sr. Mary Bernard Wiecezak will be speaking at St. Katherine of Siena Church, 9700 Frankford Ave, Philadelphia, on Monday, March 25 at 7:00 p.m. for the parish’s Days of Grace “Saints in Our Midst” series. 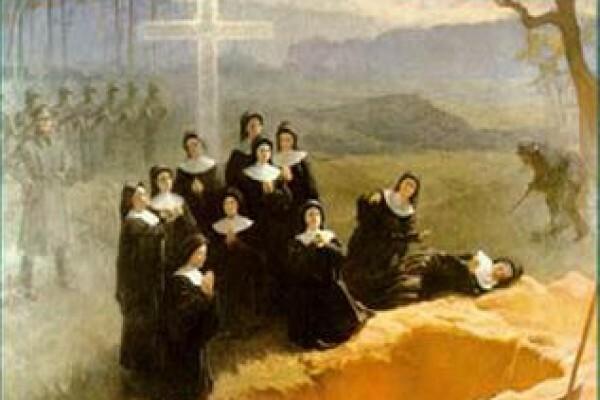 Sr. Mary Bernard will share the story of our Martyred Sisters of Nowogrodek (Blessed Mary Stella and her 10 Companions) who sacrificed their lives during World War II. The event is open to anyone interested in learning more about our Martyred Sisters. For more information, please contact St. Katherine of Siena Church at 215-637-7548.